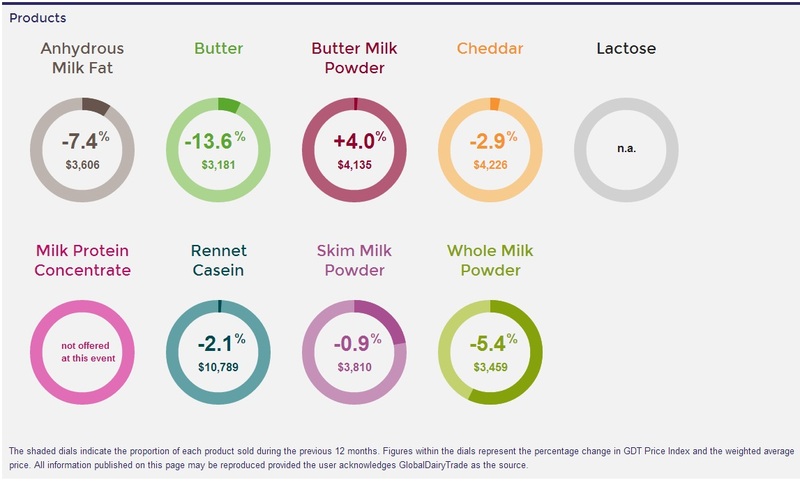 Average prices paid at today’s Fonterra dairy auction fell by 4.9%, compared with those recorded at the event held on May 17, with an average selling price of $3,595 per tonne. 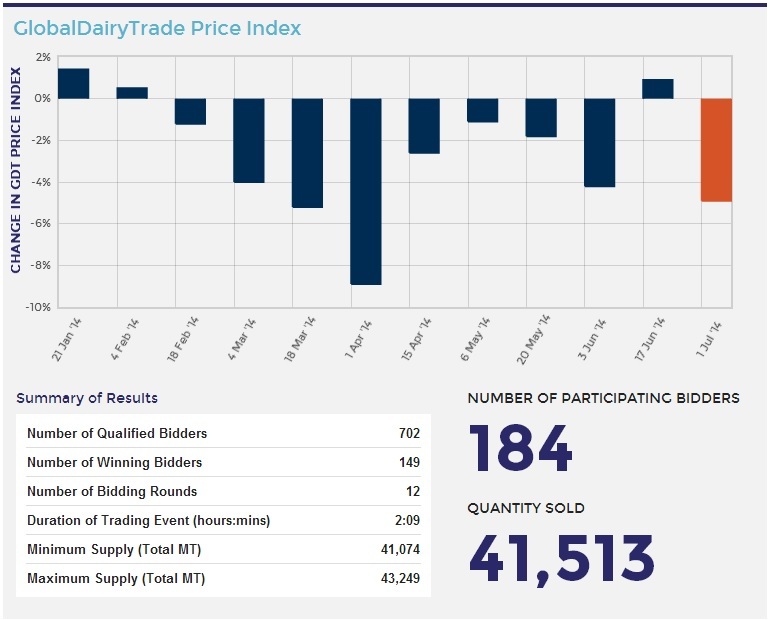 Today’s result comes on the back of a marginal increase at last month’s dairy auction, However prior to that eight auctions in a row have seen price falls since February. It is important to note that today’s auction is the most significant fall since June 3 where the trade was also down over 4% on March figures. Whole milk powder and Butter were among the products affected by the change in market conditions, with price falls of 13.6% and 13.4% registered respectively.